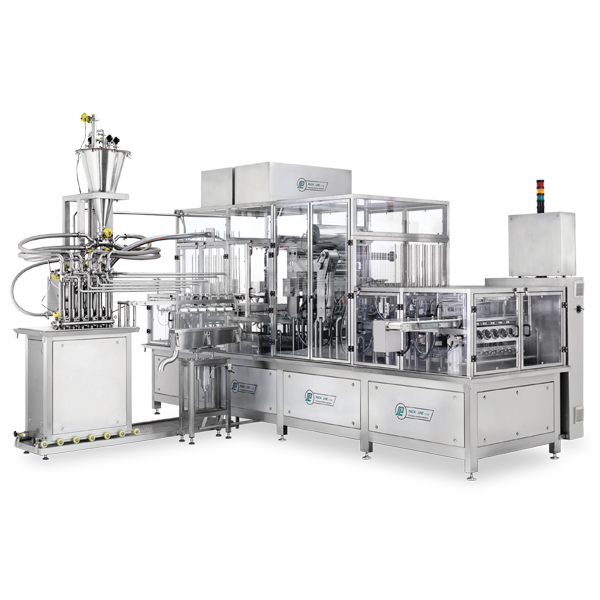 PXM is a fully automatic, in-line filling and cup sealing machine that is based on digital, mechanical and pneumatic assemblies. 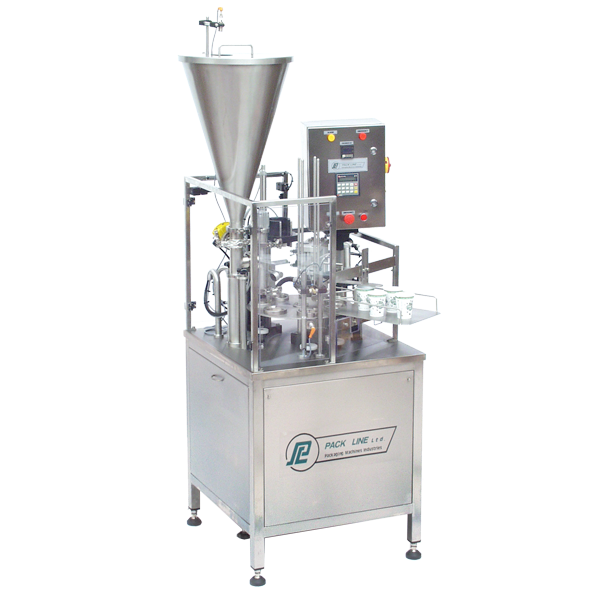 PXM machines are suitable for packaging a wide range of liquid, paste, granulated and powdered products into preformed containers of various size and shapes. The machine can be used for dairy products, salads, dressings, desserts, dry soups, frozen dishes, cosmetics and much more. Extremely versatile, PXG machines feature fully automatic filling, sealing and capping operations. With PXG´s flexibility, you get the best application to perfectly match your packaging needs. Fillers can be fitted with a CIP cleaning system. Pre-cut lid or membrane cut from roll can be combined with a plastic cap. LC control system regulates machine function in its entirety or through individual components. Machine adjustments to different container shapes and sizes are fast and easy. 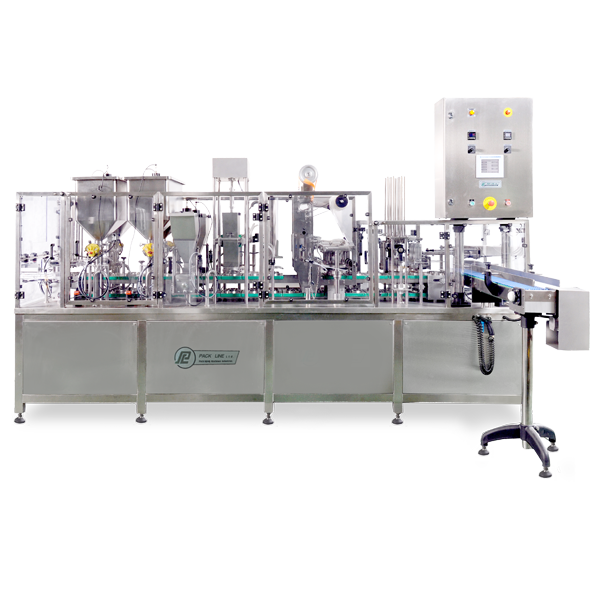 A fully automatic machine for filling and sealing of cups with pre-formed lids or membrane cut directly from roll. Rotary platform is driven by analogue engine. The machine easily handles up to 20 oz. of volume and utilizes 7 to 9 station rotation platforms depending on cup configuration and capacity. Two filling operations may be preformed in the same cup before sealing. 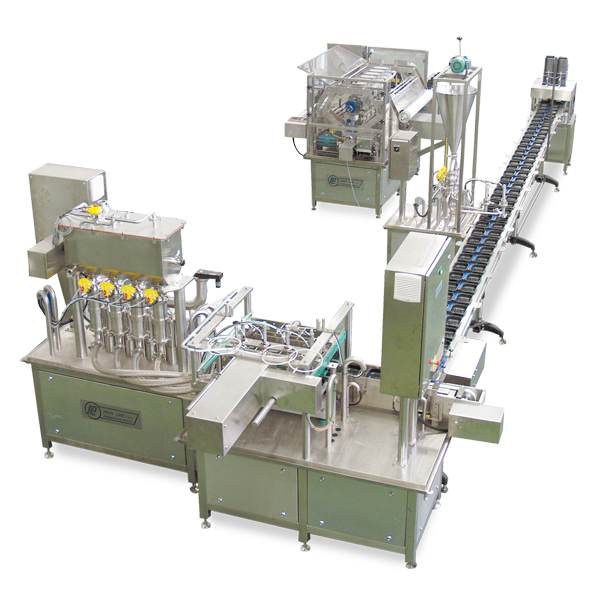 The PAO machine uses film to hermetically seal the packaging of products. The lid is cut from the film roll, conforming with the container’s shape. Different laminated films, used with or without printing, are oriented by the photo mark. The packaging process uses plastic containers of various sizes and shapes.